One of the biggest pain points for buyers on eBay is the checkout process. With all of the third party solutions and off eBay checkout links there is no standardization of the payment process. 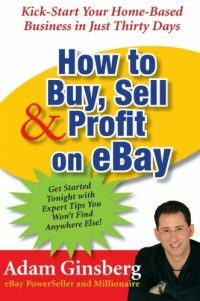 eBay aims to correct this mess and we have seen the first steps taken to do so with the elimination of paper payments. 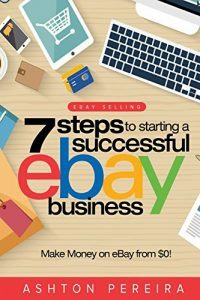 While not everyone agrees with the ban on checks and money order payments, it could be supposed that most small merchants would appreciate an integrated merchant account capability within the eBay checkout itself. This would allow everyday merchants the ability to shop for merchant services accounts which fit thier needs and budget and still offer the buyer a choice to check out with a credit card at the time of purchase directly within eBay. Per our announcement in August, all items listed on the eBay site must be paid for with an approved electronic payment method, which includes credit card acceptance through merchant accounts. We know it's important for sellers to be able to offer their own merchant credit cards to buyers. In the past, you had to complete your merchant credit card transaction off of eBay. That's awkward for sellers, and can be unsafe for buyers. Fortunately we're adding support for merchant credit cards to eBay Checkout, so you can integrate your Internet merchant account directly into the eBay Checkout flow. 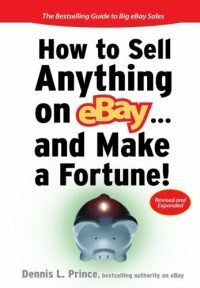 Buyers will be able to enter their merchant credit card information on the eBay Checkout page, and the processing and confirmation happens immediately. To take advantage of integrating your Internet merchant account into eBay Checkout, you'll need to sign up for the Payflow online payment gateway. Normally online payment gateways charge a fee for processing your transactions, but we'll be waiving your fee for this service. Sign-up opens in January 2009. You'll need to provide information from your Internet merchant account, so we know who should be handling your payments during checkout. You must complete sign up by end of March 2009. This new feature does not affect users of 3rd party checkout or the PayPal Payflow Proproduct. You can continue using your existing payment processing solution. However, even users of 3rd party checkout must register with Payflow by the March 2009 deadline to verify their Internet merchant account. You don't have to use Payflow as your gateway, you just need to let us know that you're using someone. Payflow Pro is a secure, reliable payment gateway. The payment gateway sends billing information to banks to authorize, process, and manage payments that come from online, mail, and telephone orders. Financial institutions require billing information for these orders to be transmitted through a certified, secure connection such as the Payflow Pro payment gateway from PayPal. How is Payflow Pro different from Payflow Link? Both services are payment gateways. Payflow Pro can be integrated into your website or e-commerce application, so you have complete control over the look, feel, and functionality. With Payflow Pro, your customers don’t leave your site to enter their payment information during the checkout process. Payflow Pro is a scalable, fully-integrated payment processing solution, so it is ideal for businesses with moderate to large number of transactions. Our other payment gateway, Payflow Link, is more suitable for low to moderate number of transactions. With Payflow Link, your customers go to a PayPal-hosted payment page with limited customization. Payflow Link is a service designed for merchants who require a simple solution for accepting payments on the Web. The Payflow Link service is a hosted order form service that allows your customer to securely input their credit card information on the PayPal secure payment server. Shopping cart providers link customers to Payflow Link during checkout. All transactions take place on PayPal's secure servers, eliminating the need for merchants to acquire their own secure certificate for their web store. Customers can enter their credit card or check data during checkout and be sure that their information is transferred securely to PayPal to authorize and complete their order. Bonanzle Mark Dorsey on the Radio – Today! This all sounds wonderful and SO businesslike. Being grateful for small mercies, those merchants still struggling to keep an eBay business afloat will not have to worry about any of this until after the all important holiday season. It will be ‘interesting’ to see how the rollout progresses on eBay’s notoriously glitch ridden platform. At Bonanzle I get to make the decision which payment methods I accept and the checkout provider I use. It is nice to be treated like a rational adult. … using the PayFlow name for both PayPal and the all-comers 3rd party merchant services just about made that announcement unreadable and incomprehensible – a perfect example of “consultantese”. Communications from eBay were so much easier to understand when Meg, Bill, and Rajiv were in charge. Sigh! I’m reminiscing already … Sad, so sad.